If you need to drill steel or wood in hard-to-reach places, such as in cramped areas or around corners, a Ryobi angle drill could be just the thing. In fact, the Ryobi right angle drills in our range have been specifically designed to provide 18V drilling power in parts of your home where you might not expect to be able to drill. For this reason alone, one of these handy drills could be the perfect addition to your selection of power tools. With a Ryobi angle drill you can really take control of just about any DIY task that involves drilling in compact or cramped areas. These drills are full of features and you can choose a Ryobi angle drill with or without a Ryobi battery and charger or even as part of a kit including other Ryobi tools. Take, for example, the Ryobi ONE+ RAD1801M-BC13 18V, 10mm Chuck 15Nm Cordless Angle Drill. This one of our Ryobi 18V angle drills which could really come handy in a multitude of ways, thanks to its LED work light and automatic spindle lock chuck. It also offers variable speed settings, a reverse gear and a drill brake, giving you the ability to master just about any job. 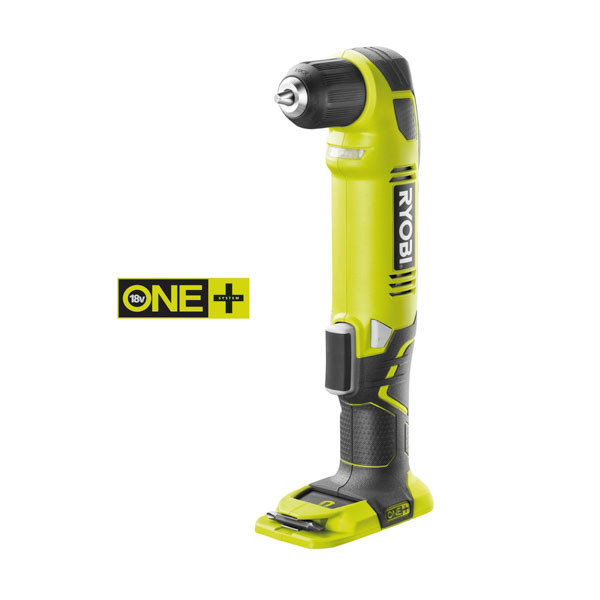 All of these Ryobi cordless right angle drills use ONE+ batteries and chargers, which are compatible with other power tools in the Ryobi range. This could really make a difference when it comes to decluttering your home, as you will require fewer batteries and chargers. 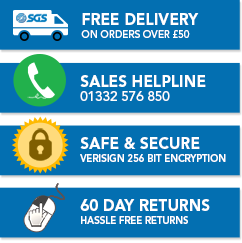 At SGS Engineering we’re committed to making it as easy as possible for you to purchase the best tools for the job, which is why we offer free delivery on orders over £50. Plus, when you choose a Ryobi angle drill or any other tool from us, you will be able to benefit from our 60-day returns policy.